One thing to keep in mind is that if you don't live in the U.S., some of these sites may not allow you to watch their video content. In that case, check the television networks' websites that are based in your own country of residence to see what they have to offer, or try to find yourself a good proxy service to use. 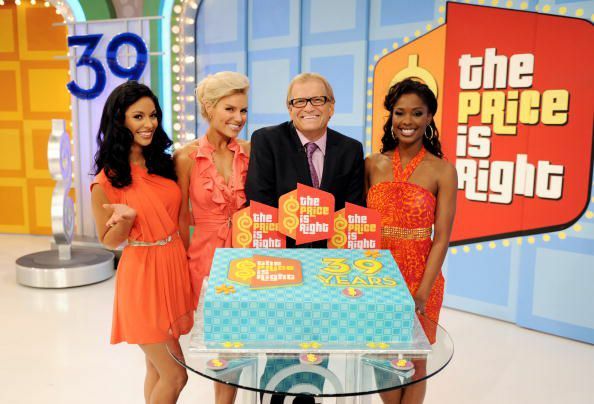 The Price is Right at CBS.com – The CBS website provides daily episodes of The Price is Right, which are uploaded a few hours after it airs on television. There are usually about three weeks' worth of episodes available at any given time. When they have prime time game shows on the schedule you can also watch them at CBS.com. NBC.com – Episodes of Minute to Win It are available to view at NBC.com for up to 18 days after the show airs. Like CBS, when there are other game shows on the schedule, you can catch them here as well. ABC.com – Looking for a laugh? You can catch Wipeout! at ABC.com, along with any of their current scheduled game shows. Also check out ABC Family for their game show offerings. FOX.com – When FOX is offering prime time game shows, they make episodes available for a limited time on their official website. Discovery.com – The Discovery Channel site has many clips of Cash Cab, though they don't offer full episodes yet. Still, the clips are updated frequently so it's worth checking back every so often for new ones that you might have missed. GSN.com – The GSN website offers a few episodes of some original shows, including High Stakes Poker and Baggage. There are lots of great game shows missing from their collection of full episodes however. MTV.com – Catch full episodes of Silent Library and lots of other MTV shows at their official website. MTV also offers international sites, so if you're not visiting from the U.S. you may be prompted to switch over to a different MTV website. VH1.com – VH1 archives lots of past shows, including the World Series of Pop Culture. Take a look through their list of available programs and you'll likely find something fun to watch. Hulu – Hulu has a great collection of TV shows that you can watch on demand, and their titles are changing and growing all the time. It's worth checking in there if you're looking for currently airing or recently aired game shows. Cast TV – Cast TV is an aggregator, collecting links from a variety of places around the web. Some of the titles include Are You Smarter Than a 5th Grader, Game Show in My Head, Deal or No Deal, Downfall, and Who Wants to Be a Millionaire. There are also several U.K. game shows to be found. 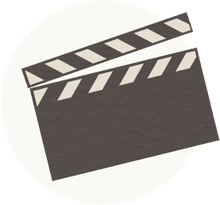 YouTube – YouTube used to be limited to clips and highlights, but there are lots of game shows available in their entirety now. Simply search for the show you want to see, from classics to current games, and look for videos that are in several parts. Start with part one and away you go! American Gladiators – This YouTube channel has lots of clips and episodes of the original American Gladiators run from the late 1980s. Museum of Broadcast Communications Archives – This site is a treasure trove of classic game shows. It requires a free and easy registration to use, and once you're in you'll have to do a little brainstorming to get the right keywords to search for what you want since there's no easy way to browse. Still, simply typing "game show" into the TV search box brings up loads of content you can view for free. There are also some great radio game shows to listen to here. Channel Chooser – Choose from loads of available channels around the world here. Video quality varies by channel and sometimes even by show. BlinkX – BlinkX is a video search engine. If you're having trouble finding the game show you want to watch, simply plug the title into the search box and BlinkX will attempt to find it for you. This service actually works fairly well most of the time, and is especially handy for international or obscure titles. While many prime time and classic game shows can be found online, some of the heavy hitters in syndication, including Jeopardy! and Wheel of Fortune, are still not available on a regular basis. Hopefully their websites will start offering full episodes in the future!